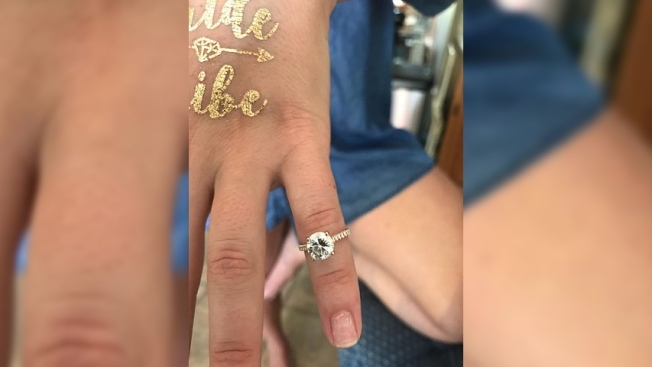 A police officer used a metal detector to find a woman’s $20,000 engagement ring after she lost it on Fire Island, officials said. The woman called the police on Saturday after she realized she’d lost the pricey ring, the Suffolk County Police Department said. A Marine Bureau police officer searched the home she was staying at, but wasn’t able to find the ring, the department said. When the search of the home turned up short, another officer, Marine Bureau Police Officer Edmund McDowell, brought his personal metal detector to Atlantique Beach, where the woman had been sitting, according to the department. After 10 minutes, the metal detector went off, and Officer McDowell managed to locate the ring in the sand. It was the second missing ring the officer has used his metal detector to find, the department said.